* Assistant Teacher For Primary School must be graduate in B.Ed along with 1 years of experience in reputed schools. 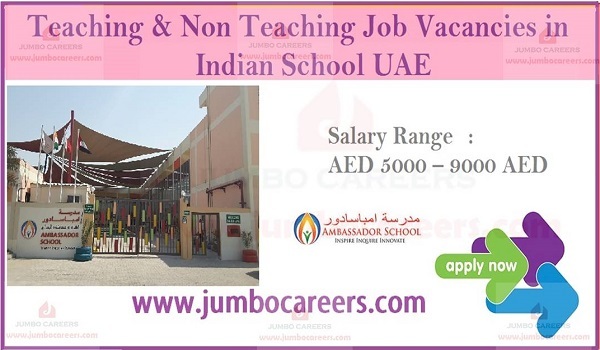 * Primary School Teacher must be graduate in B.Ed along with 3 years of experience in reputed schools. * Middle School Teacher must be graduate in B.Ed along with 3 years of experience in reputed schools. * Secondary School must be graduate in B.Ed along with 3 years of experience in reputed schools. * Senior Secondary School must be post graduate in B.Ed with minimum 3 years of experience in teaching the age group of 14-18 in reputed colleges. * Care giver/Nannies must holding O level or 10 grade degree along with 1 year of experience would be highly preferred. Good communication skills in English is also considerable.